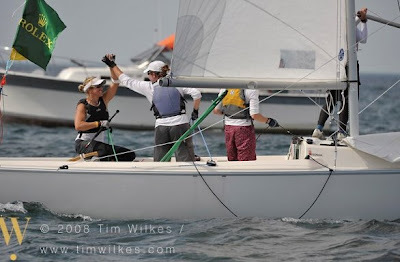 Rochester, N.Y. - Recent Olympic gold medalist Anna Tunnicliffe-Funk (Plantation, Fla.) has added another major title to her impressive sailing resume after winning the U.S. Women's Match Racing Championship on Sunday at Rochester Yacht Club (N.Y.). 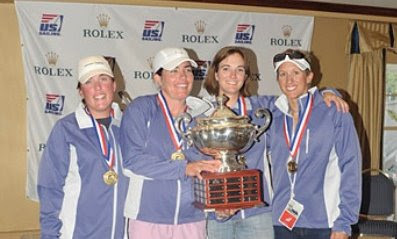 Sailed in Sonars and sponsored by Rolex Watch U.S.A. and Dry Creek Vineyard, Tunnicliffe-Funk - who sailed with Liz Bower (Norfolk, Va.), Molly O’Bryan Vandemoer (Redwood City, Calif.), and Ali Sharp (Missoula, Mont.) 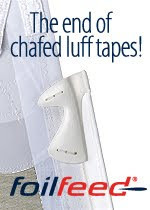 - beat a very strong fleet filled with the country's top female match racing sailors. Tunnicliffe-Funk has been dominating the world in the singlehanded Laser Radial fleet in recent years (she is currently ranked the world's number 1 by the International Sailing Federation), and by winning the U.S. Women's Match Racing Championship, she demonstrates that she is a force to be reckoned with in various types of sailboat racing (she also was part of the U.S. Team Racing Championship winning team in 2005).